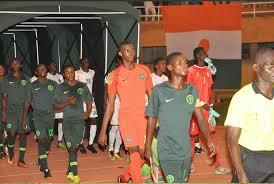 Fresh fulfills one million naira Promise To Eaglets defeats Niger in AFCON U-17Q – Royal Times of Nigeria. 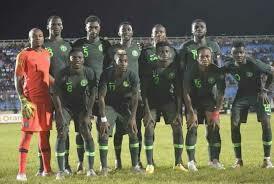 Nigeria Football Federation (NFF) Technical Committee, Chairman Ahmed Fresh Yusuf, has redeemed his pledge of one million naira to the Golden Eaglets team after they qualified for the final of the AFCON Under-seventeen qualifying tournament in Niamey, Niger Republic. The Nigeria under-seventeen led by Manu Garba defeated Niger two-one in their semi-final clash at the Seyni Koutnche Stadium, Niamey on Wednesday, to rekindle a sixty-seven–year rivalry with a Ghanaian team, this time the Black Starlets, for Saturday’s final. The winner will qualify for the 2019 Under-seventeen Africa Cup of Nations finals. Yusuf who is contesting for a place on the executive board of the NFF from the Nort Central Zone, also promised the team two million naira should they beat Ghana in Saturday’s final. Ghana had earlier defeated Cote d’Ivoire in the first semi-final at the same venue. The finals of the 2019 Under-seventeen Africa Cup of Nations finals will hold in Tanzania.